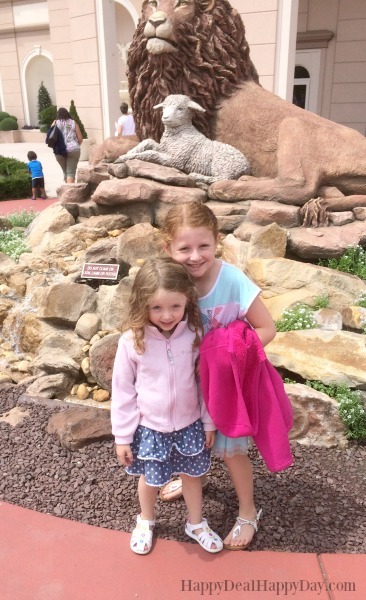 Review by Maura White | 10+ Family Friendly Vacation Spots To Visit While in Lancaster, PA! August of this year we took an outstanding family vacation to Lancaster, PA to visit some incredibly fun and family-friendly places that I'd like to share with you. Lancaster County is a beautiful place! It seemed that each house we passed, was immaculately kept. There were good vibes in the atmosphere. With the Amish culture very much apparent in this area of the country, it brings you back to a simpler lifestyle filled with influence of hard work, home-cooked food, and Christian values. We didn't get to hit every single of these places while on this last trip. The ones we didn't, we are sure to try out on a return visit hopefully sooner rather than later. If any of you have experience with these places in Lancaster, be sure to leave us a comment and tell us your experience! 1. 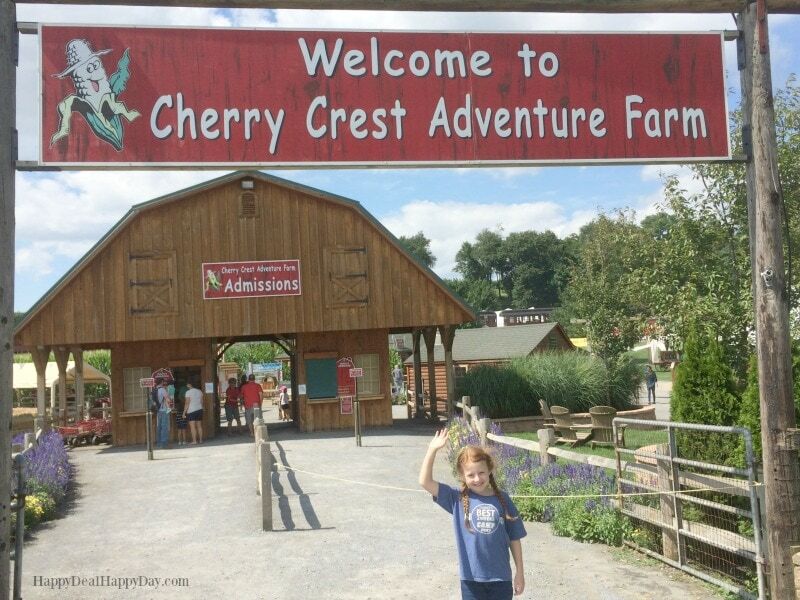 Cherry Crest Adventure Farm - A leader on the growing edge of “agri-tainment,” we work hard to give your family an opportunity to laugh and learn while engaging in a variety of wholesome activities on our working farm. You’ll find that our activities are “people-powered” and provide educational, hands-on experiences right alongside the fun stuff. Hold a baby chick, learn how your milk is processed, jump on our giant jumping pillow, race down our hay chute slide, hoist some straw bales, pull a tractor, and much, much more! We’re also a great choice for school, family, or work groups looking to book an educational field trip, company picnic, team-building event, reunion, or birthday party. This was the first place we visited on our trip and it was filled with so many fun activities for the whole family. We spent 4 hours there and tried as many activities as we could have. We could have easily spent more than one day there. My personal favorites were the hay chute slide, the pig races, and the corn maze. Below you can see my girls with Corny the Corn, holding baby chicks, and jumping on the giant jumping pillow. Explore nature, science, and cultures with your whole family! Immerse yourself in the stunning SciDome Theater, soaring across the universe to the center of the earth. Every show includes a brief tour of the night sky. Discover the natural world in the Museum’s permanent exhibits—from live animals and interactive exhibits in the Nature Explorer Gallery to the fascinating birds and fossils in the Cabinet Museum. Get your hands on the real world with our diverse collections. We have birds, mammals, lower vertebrates, invertebrates, plants, Native American artifacts, rocks and minerals, and fossils--more than 300,000 objects in all. We spent one afternoon exploring at the North Museum of Nature and Science. 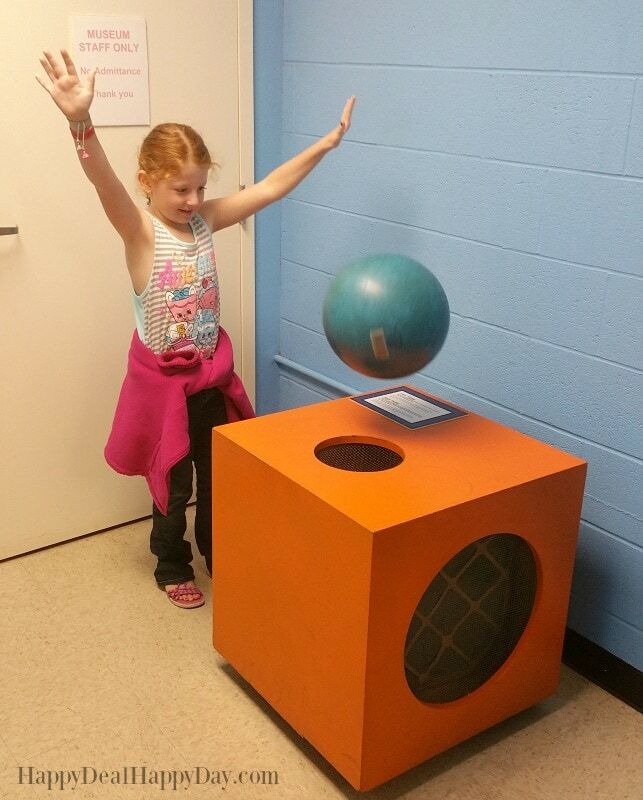 There were some great dinosaur exhibits but my families personal favorites were the physical science demos, especially the floating ball you can see below and some magnetism activities. We also watched a SciDome movie on the 2017 Eclipse! 3. 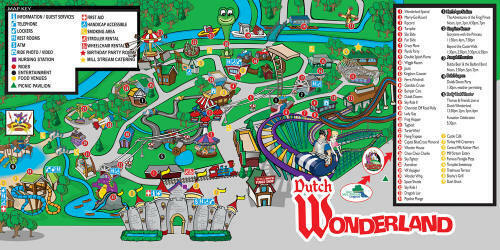 Dutch Wonderland - With over 35 rides, attractions, and shows, Dutch Wonderland is the perfect place for your next family staycation. Cool off in Duke's Lagoon water play area and make discoveries at Exploration Island, where dinosaurs come to life! New for 2017, Merlin’s Mayhem, a magical high-flying coaster, features thrills, twists, and turns during an enchanted journey in search of Merlin’s friend, Mayhem. We did not personally go to Dutch Wonderland this time around, but I wish we did. It sounds absolutely perfect for a 4 & 8 year old daughters! One of my good friends did go there this year and she said her kids had a blast and that it was a fun park for kids 12 and under. She also said the water park was fantastic. 4. 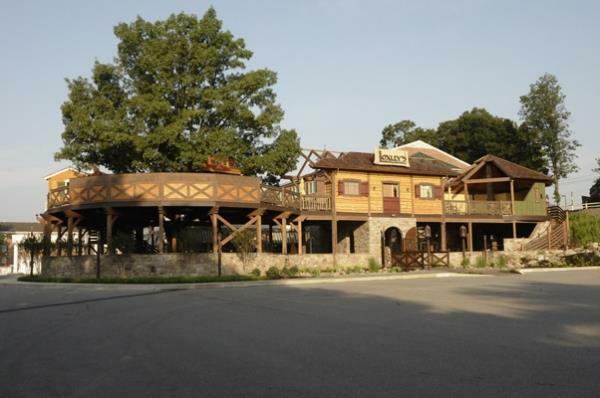 SmokeHouse BBQ & Brews - Smokehouse BBQ and Brews is Plain and Fancy's Farm brand new restaurant featuring authentic American BBQ and sauces, locally hand crafted beer, and a new, fun dining experience. The new menu will continue to offer our most popular, traditional Lancaster County favorites, including the Build Your Own Feast. Our family chose to try the Build Your Own Feast - and a feast it was! We had so much food our table, it was insane! 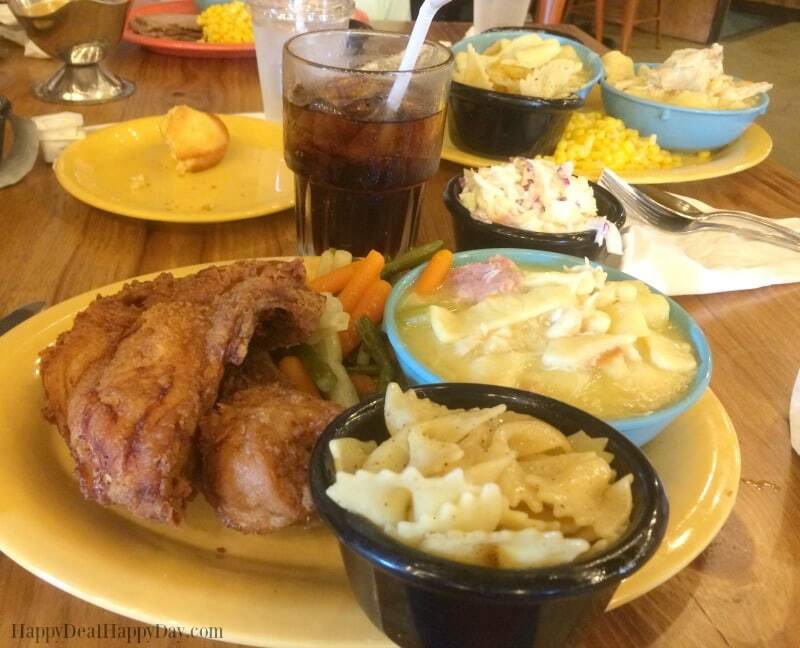 We all enjoyed some chicken pot pie, fried chicken, fresh veggies, coleslaw and more! They had 6 different homemade BBQ sauces on each table to add to your feast! My personal favorites were the sweets - including their homemade corn bread, chocolate pecan pie, and the traditional Pennsylvania Dutch ShooFly Pie! 5. Loxley's - This is a restaurant that evokes the feeling of the life in the trees of the forest retreat of Robin Hood’s band of merry men (Robin of Loxley – get it?). Part of the main outside dining area is built around the base of a large tree, with a second floor deck above to both shelter the lower level and provide additional seating. The day we came to eat here it was cold and rainy. I of couse I was bummed that we coulnd't eat out on the upper deck next to the tree, but the food was fantastic and I'd love to return for an outdoor feast! The indoor decor was medieval and fun - and the kids menus had Robin Hood themed games that kept us entertained while we waited for our food to arrive. 6. 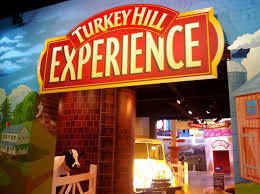 Turkey Hill Experience - Come learn how our ice cream is made, sit in a milk truck, milk our mechanical cows, and learn about the people and culture of Turkey Hill Dairy. Create your own virtual ice cream flavor, ice cream package and a commercial. Our newest attraction, the Turkey Hill Taste Lab, allows you to bring your virtual ice cream creation to life as you make your own pint of ice cream! Of course, there are plenty of free samples of our ice cream and iced tea products, too! I wish our vacation was a few days longer. This was one place we ran out of time before we could visit, but it looks like a blast! I mean who doesn't want free samples of ice cream, right??!! 7. Amish Buggy Rides - there were quite a few places we saw where you could take an Amish Buggy Ride. 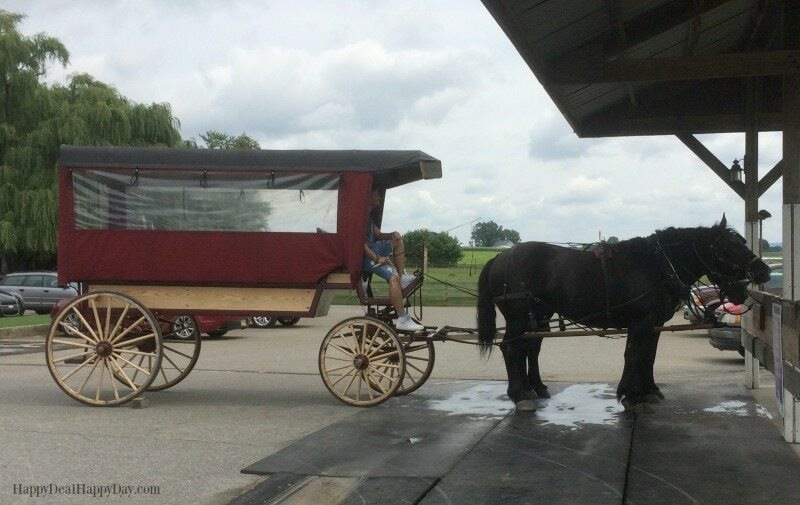 We were driving by Red Caboose Motel after our train ride (see below) the and saw they had rides there, so we stopped and were led by a former Amish man who took us on a tour of a local Amish farm. Half way through the ride, stopped at the farm and had a chance to try some of Linda's amazing homemade goods. My husband couldn't pass up an opportunity to try some homemade local root beer. 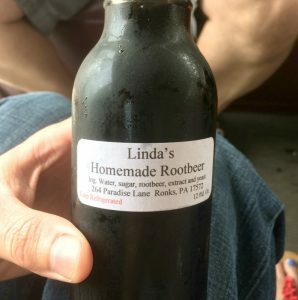 If you are in Lancaster, then trying the local homemade root beer is a must! YUM! We didn't personally stay at the Red Caboose Motel, but I do have a good friend who did stay their one night with her family. She said it was very unique and clean! 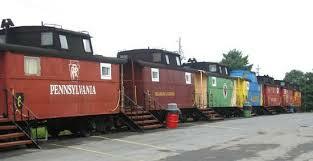 Her and her family of 4 fit cozily in their caboose. There was a small fridge, microwave and flatscreen TV. It was tight quarters, but worth the unique experience. 8. 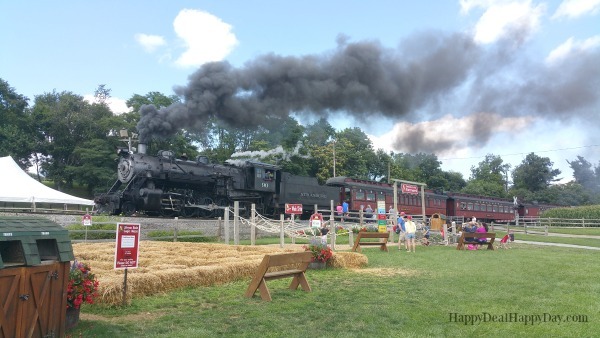 Strasburg Railroad - Strasburg Rail Road™ is America’s oldest operating railroad with a charter dating back to June 9, 1832. First used for passenger and freight transportation, the short line limped along for more than a century until in 1958, on the verge of abandonment, the railroad was salvaged and given new life as a tourist railroad. We enjoyed lunch on the dining cart during our ride. They had a simple menu to choose from, a very friendly staff, and plenty of whoopie pies for dessert! 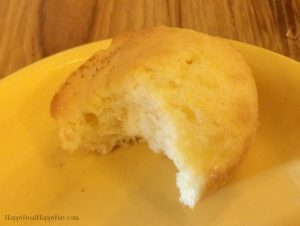 (If there is one more thing to try while you are in Dutch Pennsylvania Territory, it's a whoopie pie!) The train ride was about 45 minutes long and we drove by a one-room, Amish schoolhouse, drove through the Cherry Crest Adventure Farm, and learned about some history of the area. At the train station, there are some fun, train-themed souvenir shops and a mini Thomas the Train for great family photo opps! 9. Wolf Sanctuary - In the heart of the Pennsylvania Dutch country, quietly secured on 80 plus acres of natural woodland, you will find the home of the Speedwell Wolves. For over 30 years the Darlington Family has offered refuge to Wolves who have found themselves without a place in the natural world. It has been over a hundred years since the last wild Wolf was known to exist in Pennsylvania. Originally created as a private rescue, Wolf Sanctuary of PA has grown into an educational facility. 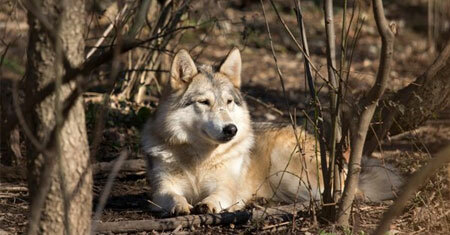 We are devoted to assuring the most comfortable and stimulating environments for our wolves. Here at Wolf Sanctuary of PA wolves and wolf dogs are given back their dignity. The Wolves of Speedwell hold a unique position as Ambassadors to the wild. It has been said that “the best wolf habitat resides in the human heart.” Perhaps it is also that the best habitat for our own wildness resides in the heart of the Wolf. The Sanctuary currently provides food, shelter and veterinary care for over forty Wolves with no government or corporate assistance. Only, by your continued support and interest do the Wolves thrive. The Biology Teacher in me would have just loved to have visited this place, but again, our trip wasn't long enough to see each of these attractions in Lancaster County. I do have close friends who have been here though and have said this is a must-see on their places to visit when in Lancaster! 10. Hands-on-House - Our exhibits offer a treasure trove of shared educational experiences that delight parents and kids alike. All of the exhibits at Hands-on House are custom-designed and unique to us. 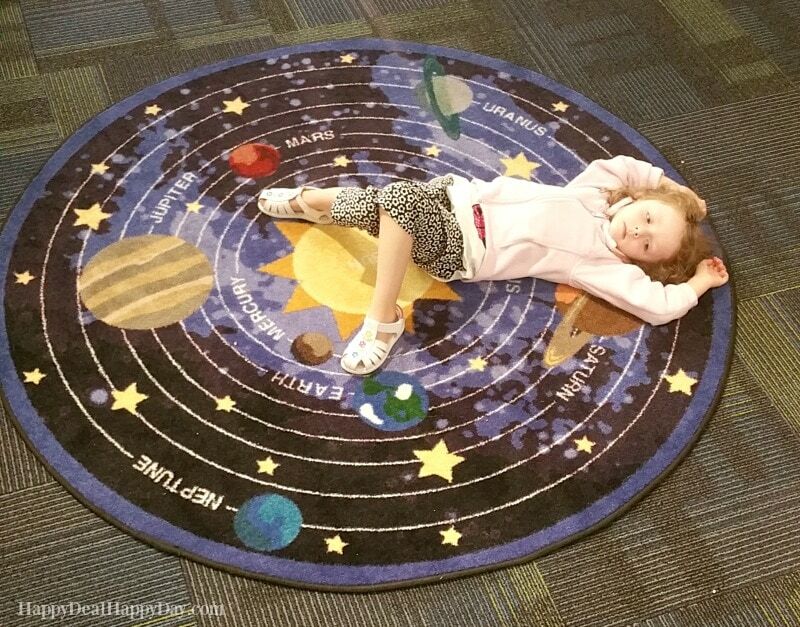 Our exhibits include a variety of activities appropriate for children ages 2-10 years. Each exhibit has a theme with a variety of activities to do that relate to the theme. All activities are designed for visitors to learn by doing and participating. Adults and children are encouraged to play and learn together. Shop for healthy food in our Corner Grocery. Find out where your food comes from in Little Valley Farm. Learn how a factory works in Marty's Machine Shop. Express yourself on our Face Painting Porch. My kids personally loved the indoor tree house, the life-sized tractor they could pretend to ride and drive, and the shop at the Corner Grocery store. We were also there on a rainy day and it was packed! Also because of the rain, we missed being able to explore the Play Garden, which I was personally bummed about. 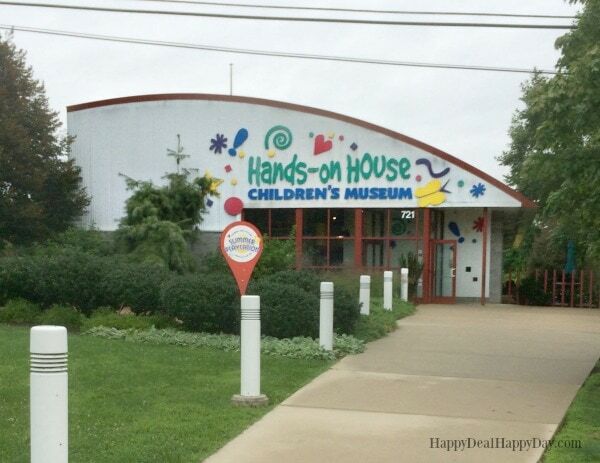 Those of you who are local, this hands-on museum reminded me of the Strong Museum of Play in Rochester, NY, in terms of the kinds of activities available - just a smaller version of it. Jonah is a prophet – and a man on the run. From who? From God! After a series of wild adventures involving a seaport called Joppa, a huge boat and a terrible storm, Jonah finds himself in the belly of a giant fish! But this isn’t the end. It’s here that God teaches Jonah how to receive grace and extend mercy, even to his archenemy: Nineveh. Take your family deep into this Bible story as it springs to life on stage in jaw-dropping scale by an exceptional cast, spectacular special effects and live animals – on stage and in the aisles. 12. Refreshing Mountain Retreat & Adventure Center in Lancaster, PA. where they have ziplines, outdoor activities, cabin rentals & more. This is a great place for family vacations or large group retreat events. Because our youngest is only 4, we didn't tackle the high ropes course ziplines, but this mamma sure wanted to! We are totally going to hit up the ziplines when we are all big enough to fly through the air! The pool also looked very inviting! This is one place we are looking to stay overnight at, the next time we visit Lancaster - and not just go for a day. 13. The Tabernacle - Biblical history comes alive at our full-sized Biblical Tabernacle reproduction, open all year. Seen only by a guided 45 minute lecture tour. Presentation guides versed in the scriptural context and significance of the tabernacle and its furniture lead you in conversation from the Brazen Altar just inside the eastern gate of the courtyard to the Ark of the Covenant in the Holy of Holies. Even if you know little about Biblical history, this presentation is fascinating. But for those who know, this makes the story come to life. Like watching the production of Jonah and Sight and Sound Theater, getting the tour of the Tabernacle also brought Biblical historical details to life for me. I'm very much a visual learner and am guilty of skipping over scripture that talks about cubits and various colors of cloth that are needed in the tabernacle or temple constructs. This 45-minute tour was very detailed and our guide was helpful at answering any questions. Our 4-year-old's attention span wasn't quite long enough for this tour, so I'd recommend this for a bit older kids (6 and over). But nonethe ess, it was powerful for me to grasp very important Biblical history with this replica. If you are looking for more information about traveling to Lancaster, PA, then head over to Discover Lancaster which gives more detailed information.